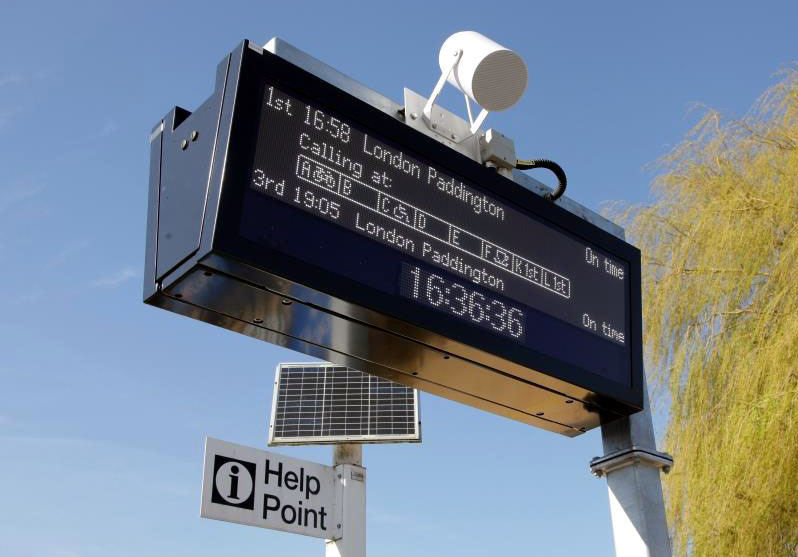 The first of more than 120 passenger information displays (PIDs) designed and manufactured by Infotec for railway stations on the Wessex route have now been delivered. The order, placed by Telent, will see many stations have the very latest ECO white high definition LED units installed, with wide aspect with clock single and double-sided and portrait styles included. White LED displays are brighter and higher in contrast than their yellow counterparts and can be read very easily, especially in sunlight. In addition to clarity, the advantages of white LEDs include their long-term reliability - the surface mount technology used is much better than the former through-hole technology - and they have a 30% lower power requirement yellow LEDs, making environmental and economic sense. The new displays, which also include some high-performance TFT displays which produce crisp, clear images with smooth transitions and media presentation, are part of Station Information and Security System (SISS) improvements. The Wessex route is one of the busiest in the UK, providing a vital economic artery into central London from the south coast, with 230 million passenger journeys each year generating £1bn in revenue. Stations to benefit from the new Infotec displays include Andover, Farnborough, Portsmouth Harbour, Kingston, Walton-on-Thames and Wokingham. In addition to the displays, Infotec is designing and manufacturing support steelwork for the units, providing the complete package. Training for Wessex staff on making the best possible use of the displays is also to be provided by Infotec at its headquarters in Leicestershire.